I am highlighting the HL7 Camel component in one of this weeks Fuse Component Blogs. We will give a brief introduction, a brief HL7 Component overview and then the HL7 Component Demo so you can easily run an example. Health Level 7 (HL7) is a not-for-profit, ANSI-accredited standards developing organization dedicated to providing a comprehensive framework and related standards for the exchange, integration, sharing, and retrieval of electronic health information that supports clinical practice and the management, delivery and evaluation of health services. An HL7 Interface Engine (a.k.a. Message Broker) is used to refer to a kind of middleware application which is used to transform, route, clone and translate HL7 messages. The HL7 Component with Camel is perfect for using Fuse as a HL7 Interface Engine. We give you an example of using the component in a Camel Route in our example. The component works with v2 messages using the HAPI library which we will describe further below. People who have worked with HL7 are normally familiar with the two versions so I wanted to give the main differences between the two. HL7 is often used with the HL7 MLLP protocol, which is a text based TCP socket based protocol. This component ships with a Mina Codec that conforms to the MLLP protocol so you can easily expose an HL7 listener accepting HL7 requests over the TCP transport layer. The HL7 component ships with a HL7 data format that can be used to marshal or unmarshal HL7 model objects. You can find more information on the Camel component at http://camel.apache.org/hl7.html Also on the HAPI site a HAPI Test Panel is available which is a full featured HL7 message editor, transmitter and receiver. NOTE: init-fabric.sh will be future for a fabric example. menu.sh will be future for building a local install or docker install. Step 3: Place the downloaded zip file under installs folder. Step 4: Run init.sh to setup the environment which will also start Fuse. 21:47:28,836 | INFO | 0 - file:///tmp/ | hl7DirectCBRRoute | 142 - org.apache.camel.camel-core - 2.12.0.redhat-610379 | Transforming message. Today I welcome a guest blogger, Bryan Saunders who is a Red Hat Senior Consultant in North America and a Certified Scrum Professional. In October I posted a blog to show how to use JMeter with JBoss A-MQ. Bryan was doing message testing with HermesJMS, SOAPUI and JBoss A-MQ so we wanted to share another method for testing messages with JBoss A-MQ. We used the steps in my environment that Bryan used in order to make HermesJMS work with JBoss A-MQ. HermesJMS can be started from within SOAPUI. HermesJMS is an extensible console that helps you interact with JMS providers making it simple to publish and edit messages, browse or seach queues and topics, copy messages around and delete them. SoapUI is the world leading Open Source Functional Testing Tool, mainly it is used for API Testing. Bryan discovered a bug with the HermesJMS distribution included with SOAPUI that affects using it with ActiveMQ 5.8 and above. The HermesJMS standalone version does produce the error. So we use the standalone HermesJMS version and point to the distribution from the preferences/tools from within SOAPUI. The error that is produced with the SOAPUI included version is below and Bryan found a related bug HJMS-223. Step 1: Download JBoss A-MQ 6.1 from JBoss A-MQ 6.1 product page. Step 3: Uncomment the admin credentials in AMQInstallDir/etc/users.properties. You should modify the username and password in your environment to unique credentials. Step 4: Start JBoss A-MQ by running the ./bin/start from the AMQInstallDir. Step 5: Verify the installation by running Producer and Consumer clients. Run the Producer from the AMQInstallDir with the command below. The producer will connect to the broker and produce 100 messages. Run the Consumer from the AMQInstallDir with the command below. The consumer will connect to the broker and consume 100 messages. Step 6: Open the apache-activemq-5.9.0.redhat-610379-bin.zip file that is in extras as we need two jar files. Extract activemq-all-5.9.0.redhat-610379.jar and lib/geronimo-j2ee-management_1.1_spec-1.0.1.jar to the extras directory. 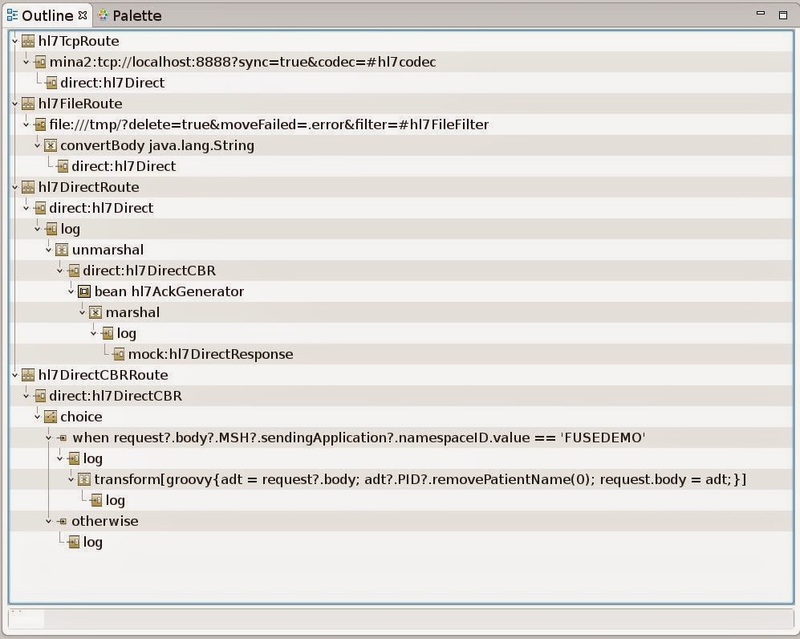 Step 5: Point SOAPUI tools to the HermesJMS Standalone instead of the included HermesJMS distribution. Step 8: Setup the Provider so it is the same as the below. Click on the Providers tab at the bottom of the screen. Right click in the Classpath Groups panel and click add group. Right click on the Library panel and click add jars. Click on the Scan button when prompted. Make sure to add both jars. Click Apply and then the Sessions tab. Step 9: Setup the session so it is the same as the below. Change the session name, ie JBossAMQSession. Right click in the Connection Factory Panel and add the brokerURL property with the value tcp://localhost:61616. Step 1: Click on the Session, JBossAMQSession, and destination, TEST that were created. Step 2: Click on Messages and then Send TestMessage from the menu. Select a text file that you want to send as a message and click Send file to TEST. Step 3: Click the Refresh icon in the toolbar. You will see the message you sent.